So here comes another giveaway about which I talked about on forum few days back. For those of you who are not members of forum, I would just ask to register there as normally we got much more there at forum in terms of freebies and also, members know about these giveaways well in advance. 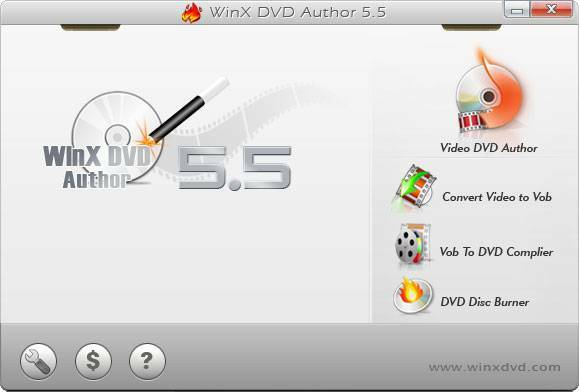 Anyway, today we will be giving away 100 licenses of WinX DVD Author to Avinashtech readers. The rules will be simple as usual. WinX DVD Author is well-known as home DVD creation software which brings you perfect DVD authoring experience with much easier manipulation. Creating a full 4.3G high video quality DVD within one hour, easily edit video by clipping, cropping or trimming. 2. Support disc media: DVD+/-R, DVD+/-RW, DVD DL+R, DVD DL+/-RW, etc. 4. Support multilingual: English, French, Chinese, German, Italian, Japanese, Spanish, etc. PS :-Â Those winners who are still to give Feedback on previous giveaways in the forumÂ are not eligibleÂ for this giveaway. IF YOU ARE ONE OF THEM, YOU CAN STILL PROVIDE THE FEEDBACK HERE. Hi Avi, Thanks for this grand giveaway. I would like to participate to make my own customized DVDs. Please consider me for this giveaway. I want this software to convert my presentations to DVD format for sharing them with friends and family and also for publishing online. Thank you for the giveaway, I really need this software for creating videos on my dvd lik flv, mov and heaps of other video formats. Hi . Thanks a lot for giveaway . I really need it because I make video DVDs very much & it majes my work so easy . I’m a forum member too .